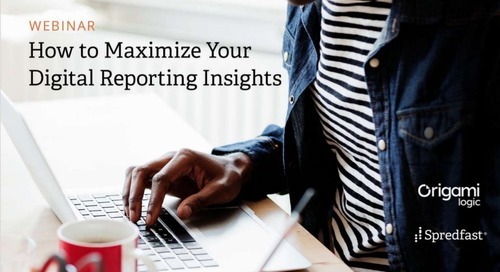 Make more informed campaign decisions with a data model that’s designed for modern marketing. Marketers continuously struggle to draw insights from the millions of marketing signals generated each day by increasingly complex and diverse cross-channel campaigns. 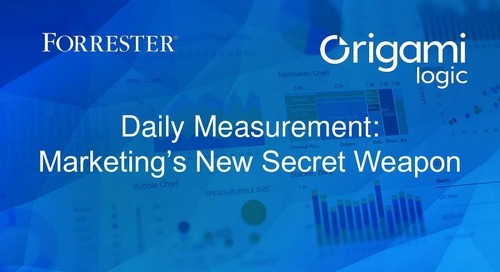 With growing volumes and variety of data, marketers more than ever need to understand the dynamic relationships between metrics from social media, display advertising, search, mobile, web, CRM, email, and more. Origami Logic’s Marketing Graph™, is the heart of the data model that collects and refines cross-channel data in a way that brings meaning to the data, supporting the unique measurement needs of stakeholders from the CMO to analysts to brand marketers. In this webinar, we will discuss common questions about marketing data models and how the Marketing Graph™ contributes to performance insights and decision making during and after your campaigns. - Marketing data is very complex and dynamic, what challenges does this create when measuring marketing performance?